This book concerns the analysis and design of induction heating of poor electrical conduction materials. Some innovating applications such as inductive plasma installation or transformers, thermo inductive non-destructive testing and carbon-reinforced composite materials heating are studied. Analytical, semi-analytical and numerical models are combined to obtain the best modeling technique for each case. Each model has been tested with experimental results and validated. The principal aspects of a computational package to solve these kinds of coupled problems are described. 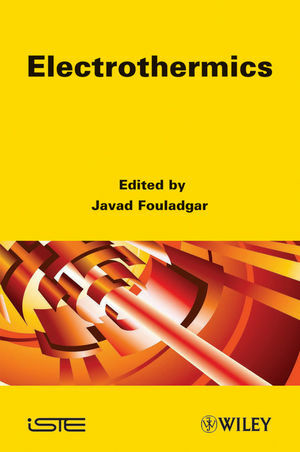 In the first chapter, the mathematical tools for coupled electromagnetic and thermal phenomena are introduced. In Chapter 2, these tools are used to analyze a radio frequency inductive plasma installation. The third chapter describes the methodology of designing a low frequency plasma transformer. Chapter 4 studies the feasibility of the thermo inductive technique for non-destructive testing and the final chapter is dedicated to the use of induction heating in the lifecycle of carbon-reinforced composite materials.